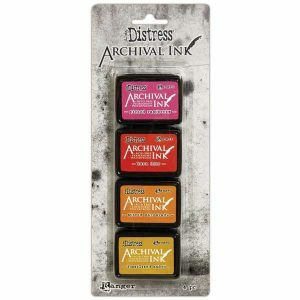 Distress Archival Mini Ink Kit #1 by Tim Holtz. 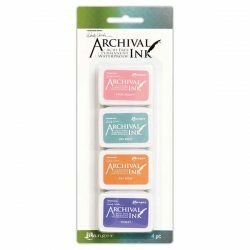 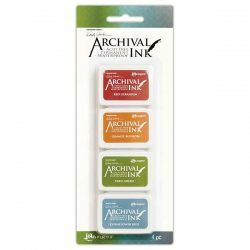 These inks are ideal for various craft and mixed-media projects. 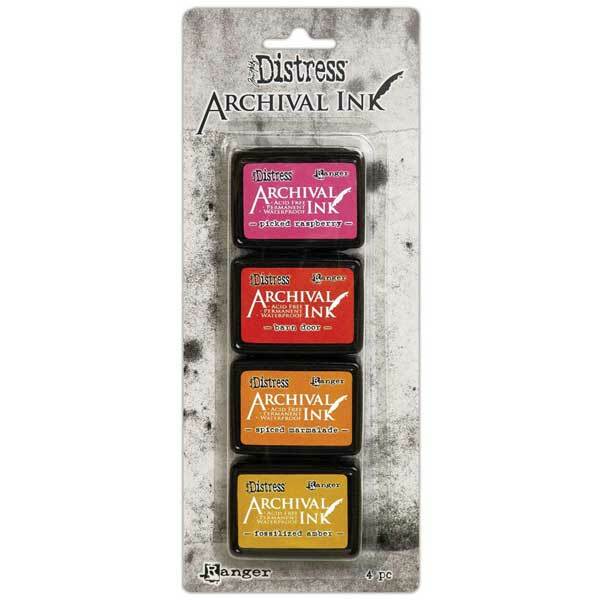 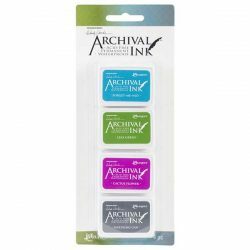 This 3.25×8 inch package contains four waterproof, fade resistant ink pads that measure 1.25×1.75 inches each.